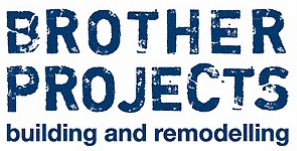 Brother Projects is a family owned and run Canberra business, specialising in high quality knock-down rebuilds, renovations and remodels. They have a passionate and committed team working with them, undertaking complex builds with unique designs winning awards consistently since 2009. Brother Projects are known for their personalised service, attention to detail, genuine approach and honest, transparent communication with clients, sub-contractors and suppliers. Brother Projects hold Class B and Demolition licences in both ACT and NSW. Jamey is a Managing Director of Brother Projects, He has worked in the construction industry for over 15 years. During this time he has managed a number of diverse projects in both the residential and commercial sectors. In recent years' he has managed the team in undertaking more challenging and unique build projects, These have resulted in numerous awards at both a local and national level. Jamey is responsible for day to day on-site operations, project management and works with clients throughout the build process. Nathan is a Managing Director of Brother Projects, he has worked in the construction industry for over 15 years. During this time he has managed a number of diverse projects in both the residential and commercial sectors. In recent years' he has managed the team in undertaking more challenging and unique build projects, these have resulted in numerous awards at both a local and national level. Nathan has his Certificate IV and Diploma in Building and Construction and Certificate III in Carpentry. Nathan is responsible for tendering and quoting, project management and works with clients throughout the build process. Tim is a Carpenter by trade and also holds his ACT Builders licence. Tim has experience managing complex projects from start to finish and directly works with Brother Projects staff, sub-contractors and clients to deliver high quality building projects. Brother Projects employs a skilled team of qualified carpenters, wall and floor tilers, machine operators and apprentices who share the brothers' ambition to complete each job to the highest standard. They also use a trusted panel of sub-contractors and work closely with a variety of designers and architects.